Yogurt Hydro launched in November 2014, but it began months earlier than that with me finding a wordpress theme I liked, choosing the domain & hosting, setting everything up locally for testing, and then furiously typing in the first 80~ posts and recipes before launching. I’d been collecting recipes with photographs for about 2 years ahead of time, toying with the idea of running a website again (I ran several a few years ago). Blogging is like having a second full time job, although it’s a job I love, it takes a huge amount of time away from everything else, close relationships in particular. The timing couldn’t be better; this morning I came across a post on ProBlogger, called Blog Better By Slowing Down. Blogging at the expense of time for all else seems to be a common thread, both in the article and the comments; and it hit close to home as well. I’ve always tried to post a minimum of 3 posts, ranging to 6, per week; a LOT for one person to keep up with. I have written up an editorial calendar. After some editing, I believe I have it at a manageable and sustainable level and one that Kevin will appreciate as well. If you love the giveaways, you’ll be happy to know they are going to feature on a more regular schedule than previously. YogurtHydro will always be mainly about food, recipes, nature, and natural health related topics; with a smattering of giveaways throughout. The ProBlogger article served as a great reminder for me, and so I am passing it on to you. 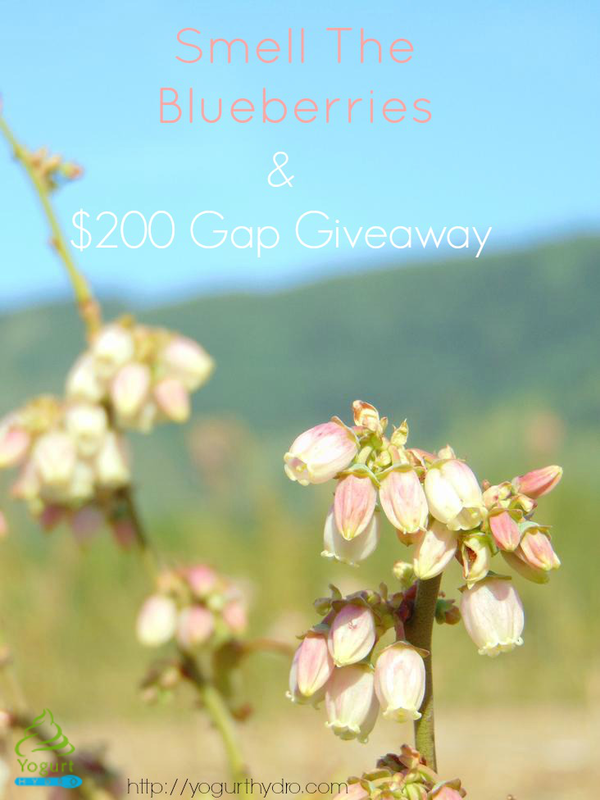 On that note, it would be nice to have an extra $200 to spend at the Gap! Enter to win the giveaway below; Good luck!! Are you a blogger who needs to slow down? How are you managing your time? Are you a reader who is interested in more posts about blogging in general? Respond in the comments, I’d love your feedback. Rules: Use the Rafflecopter form to enter daily. Giveaway ends 6/28 and is open worldwide. Winner will be notified via email.